If there is one thing we don’t scrimp on in this household, it is items for the kitchen – since food and drink is a necessity in life and one of our favourite things, we like our utensils to be of a fantastic quality and expect all products to stand the test of time. We have been very lucky over the years – being given some amazing (but expensive) crockery by Steve’s grandfather and winning over £400 of high quality kitchen items a couple of years ago. 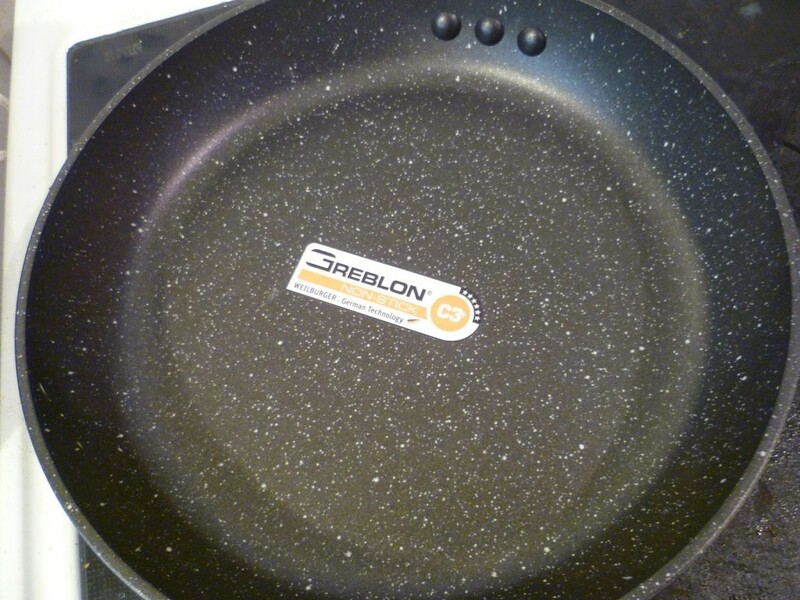 Unfortunately our items are starting to show their age a bit now after 4 years or so and we are looking to buy some new pieces so I was very happy when asked to review The Stone Earth Pan by Ozeri and relegated our old frying pan to the back of the kitchen cupboards whilst we gave this one a try. One thing I have noticed about high quality pans and saucepans is that they are slightly heavier than the cheap alternatives that last for 5 minutes – but not so heavy that they aren’t easy to use. It is very sturdy and makes it easy to transport across the kitchen if needs be. 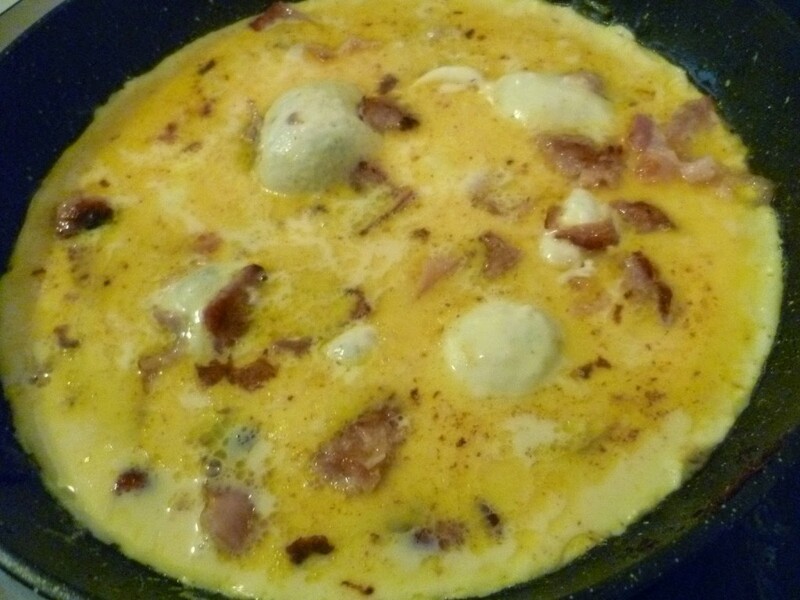 Our frying pan is one of our most used kitchen items and of course we have been putting the pan through its paces with a number of different tests – fry ups, omelettes – you name it, we have tried it over the last few weeks. The pan takes a while to heat up compared to cheaper ones I’ve used but I put this down to the quality – this is sturdy whilst others are flimsy and is definitely thicker so the heat has more material to travel through. Once heated though, the pan proves its worth – you only need a miniscule amount of oil and the pan truly is non stick. There is even a magnetized bottom and a heat resistant silicone handle to make it even easier to use on a variety of stoves and ovens. I was sent the 10″ pan and the pan also came with a protector to place into it and protect it from other pans when stacked in the cupboard. This is a nice little touch as if you look after your products, they will look after you and this quality product is definitely something I don’t want getting scratched! 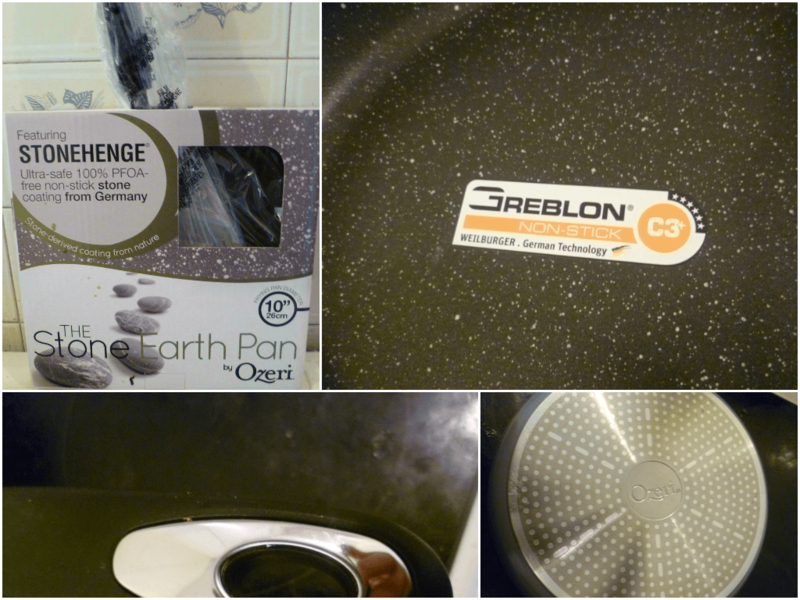 I’m definitely eager to try more products from the Ozeri range – if they are as good as this, I’m sold. Do you prefer cheap and cheerful or high quality kitchen items? I was sent these a little while back now and originally said yes to them more for Steve’s benefit as he is the only one of us to have an iPhone. At his work, he is often sat at a computer for a few hours and often has to find a spare socket so he can charge his phone – not always ideal especially if there are a few of you in the office who all need to do the same. When I was told about these products, I knew I had to get them for him to give them a try. 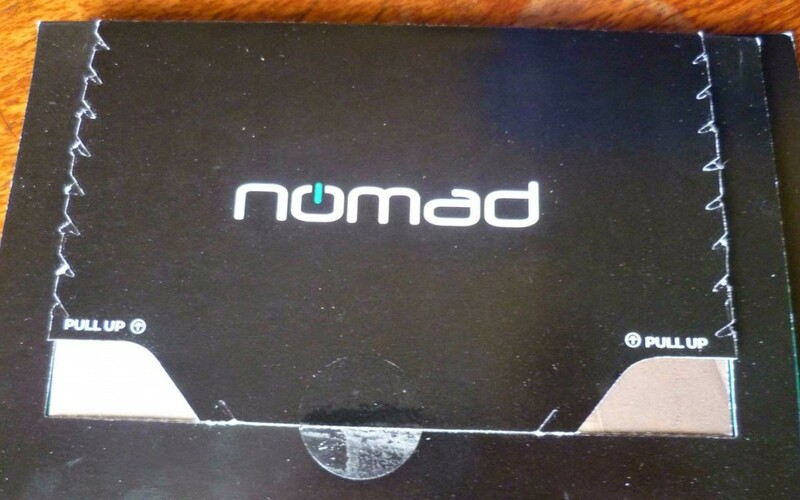 I was also lucky enough to be sent one for my phone too – so I could test them out too! As you can imagine, the ChargeCard fits snugly into the credit card slot of a wallet or purse whilst the ChargeKey can be attached to your keyring. If you find carrying around a bulky phone charger a faff (especially when carrying around other leads such as laptop chargers and headphone chargers), you probably want to reduce the cables as much as possible – this is where these could come in. They need an electricity supply to work – all that you need to do is plug them into the USB port of your computer or laptop and plug the other end into your phone and you are sorted. We tried both the iPad and Steve’s iPhone with the Chargecard and my Samsung Galaxy with the Chargekey and whilst they work well, they work much better in a laptop or battery pack rather than a desktop computer – the USB part to these products is quite small so you would need something to support your phone or tablet whilst charging. All in all, these are a very handy addition to Steve’s gadgets – he often moans about having too many cables in his rucksack so hopefully these will soon replace them for good. 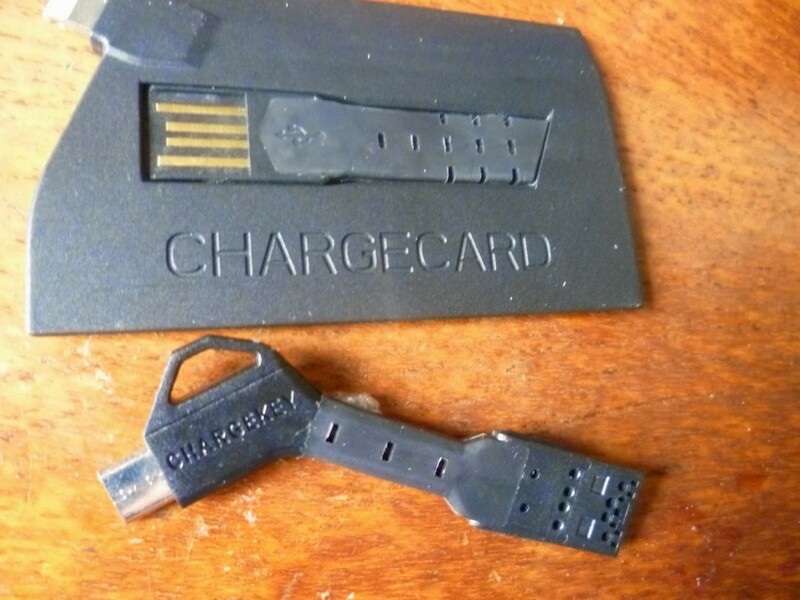 You can buy the Chargekey here for $29 and the Chargecard here for $29 with free shipping on two or more items. We were recently sent some lovely products to try from belVita in order to tell us about our morning stories. We are a weird bunch when we come to breakfast time. Steve loves toast, I love cereal and Jack really isn’t fussy in the slightest. We have been known to have leftover takeaway for breakfast and even chocolate or cake on the odd occasion – naughty, I know! Yoghurts occasionally come into play and I loved it in our hotel in Rome when there was SO many different things to choose from – a fry up, cereal, juice, croissants? I was in heaven! I had tried the milk and cereals belVita before but the other two flavours were new to me – plus I was very happy to see a Costa gift card in the package; I haven’t had my Costa fix for far too long! Mornings go one of three ways in our household at the moment – there is the one where Steve is on days where it is just me in the household – Jack usually has toast of some description and I have cereal which Jack then tries to pinch. 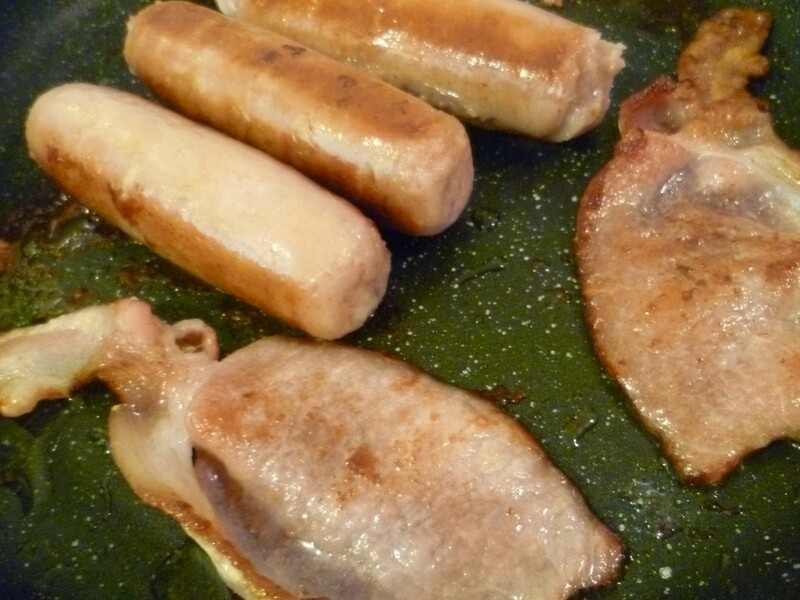 There are when Steve is on night shifts when more often that not he arrives home with a breakfast bap for each of us and a sausage sandwich for Jack (maybe even a McDonalds Breakfast once in a blue moon…). Lastly, there is Steve’s days off when a bit more thought and preparation is put into breakfast so we can all enjoy it – Steve often likes to make fruit smoothies or a bacon sandwich for him and scrambled eggs for me. Mornings can be quite stressful as more often than not Jack has got me up at the crack of dawn – sometimes I need that little bit of get up and go in the morning and since I hate coffee, something that fills me up and tastes good seems to do the trick – these belVita biscuits have definitely filled that void. I am especially in love with the fruit and fibre ones – fruit and fibre is my favourite cereal so a biscuit form is my idea of heaven! Working from home does mean that there is often no rush to do things but I am often running around panicking on days when we have plans – these are perfect to rush out the door with! My mornings can go a variety of ways..how about yours? It is common knowledge that I have an iPad Mini that I won early last year and much like my phone, I love to find new accessories for it. 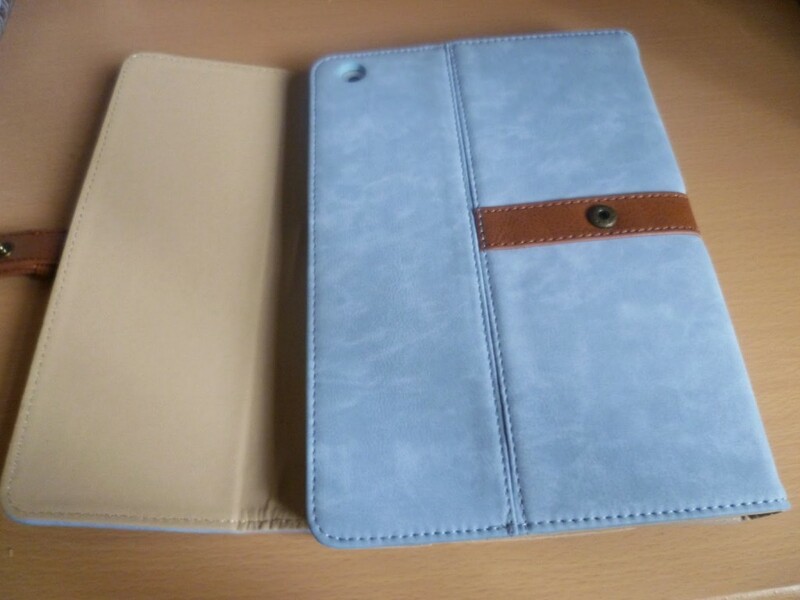 Since I am not the only that uses it, I have to make sure that any accessories I choose suit Steve’s tastes as well and whilst I loved my most recent personalised case, Jack was more preoccupied with trying to take it off so the search began for a new one. Step in Three with their offer to review a case from iPad mini’s. 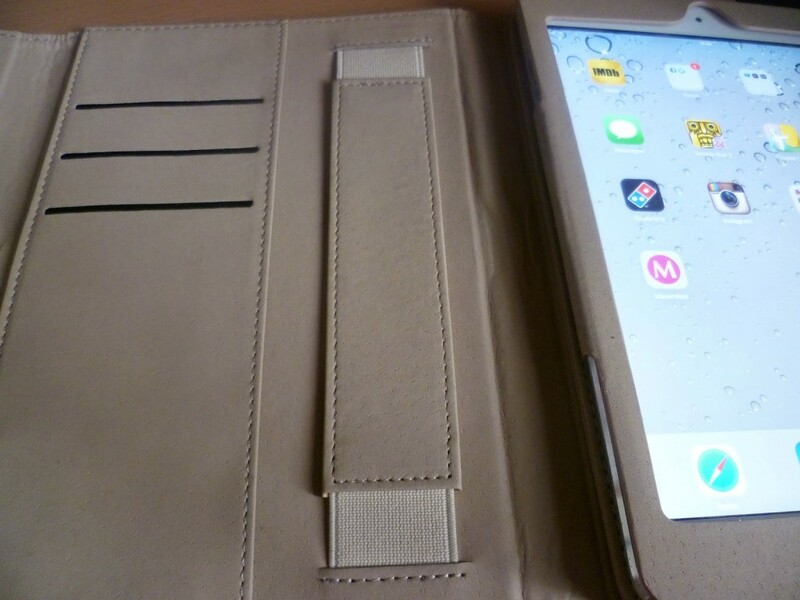 For once, I gave Steve some say and we finally opted for this – the iPad Mini Stand Case with Elastic Strap. 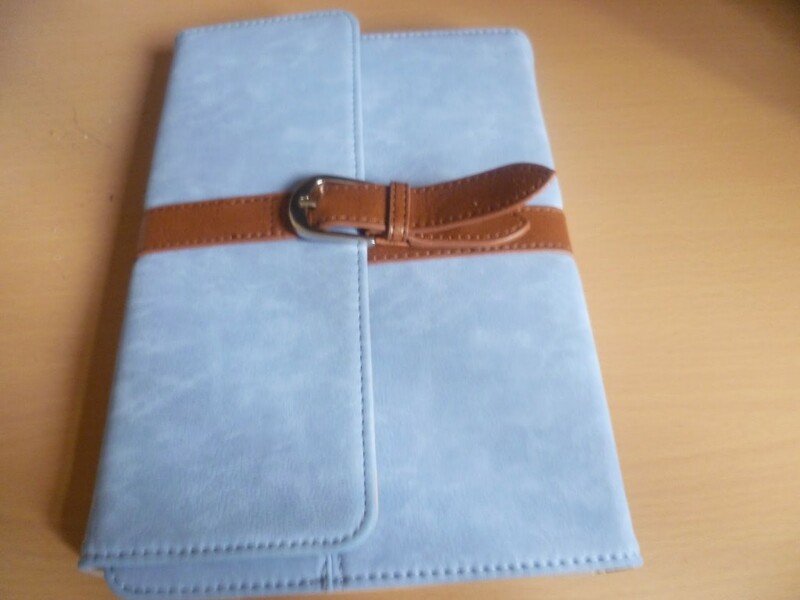 As you can see, the case is a light blue suede style material with a brown elastic strap which is meant to look like leather. 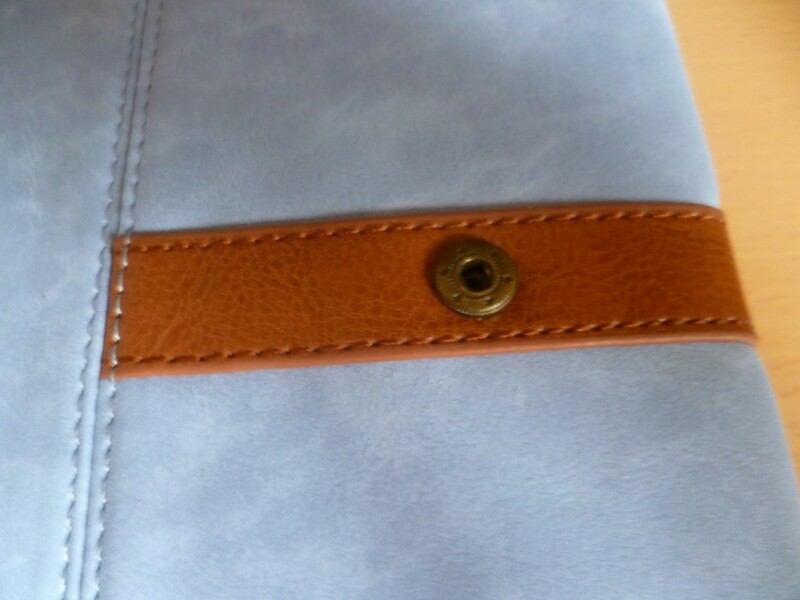 The strap fastens this way as shown but once the top half is folded back it makes the stand too. I was quite paranoid that toddler hands would mess this up within minutes – after all, toddler hands tend to be quite messy and sticky if not attended to straight away and Jack often makes a beeline for the iPad as soon as he finishes breakfast despite being told not to! However, we have been using this for a good few weeks now and he hasn’t made a mark on it…yet! 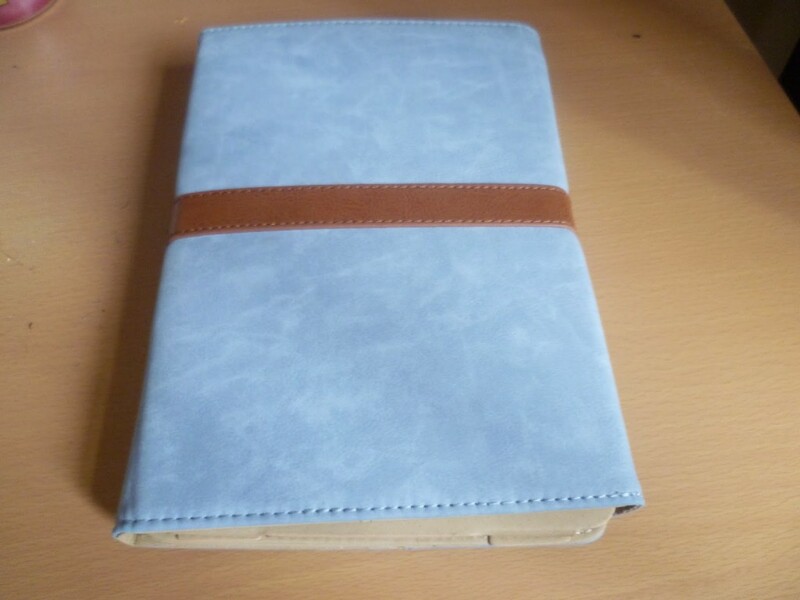 The inside is quite plain and simple – soft to the touch with a handle and card slots too – perfect for on the go. We don’t tend to take the iPad out of the house too often but this would be perfect for taking to events such as Britmums Live where I would want to carry as little as possible! I was also a little worried that turning the case into a stand would affect the look of the case as well – I expected to see every little crease but so far, so good. 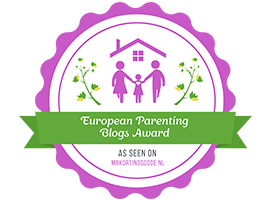 All in all, I am very impressed with this case – it is functional and practical all whilst being aesthetically pleasing – plus it stands up to toddler hands – major plus point for me! Are you as obsessed with accessories as me? I love them almost as much as I love the technology! 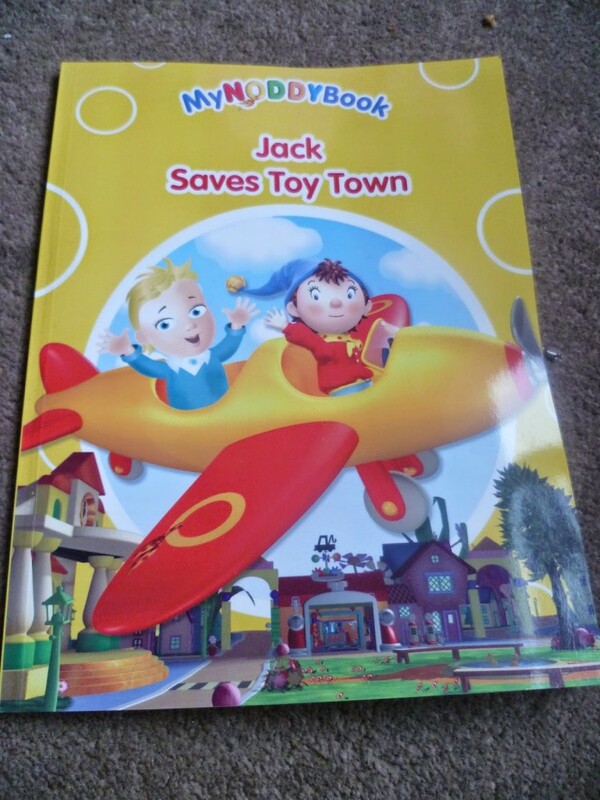 A few months ago now, we were kindly given the opportunity to review a personalised children’s book from Penwizard. I’ve been meaning to get this post up for a while now but as this arrived when I was away in Camber, we didn’t get around to reading it as quickly as we would have. Jack is very much at the age now where he wants to be running around and active all the time and is reluctant to settle down for a story. I was very excited at the prospect of giving him a personalised book now he is a little older and can understand a little more. He has had personalised books in the past but he didn’t seem to understand that he was in the story. 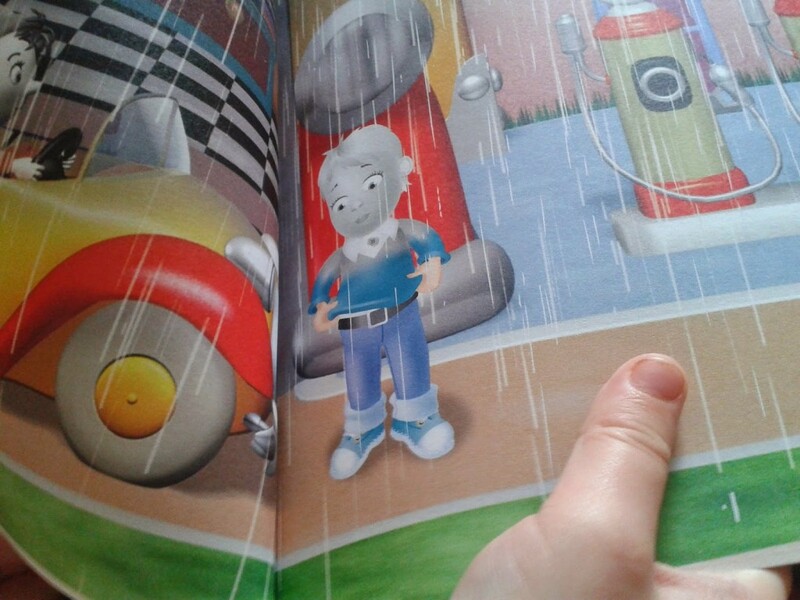 We picked ‘Jack Saves Toy Town’ as our book of choice and I set about making Jack look like…well, Jack! He has had his hair cut now (post coming soon!) so this doesn’t look like him right now, but I still think it is a good likeness, no? Ordering the book itself was incredibly easy – you simply click onto the personalised section of the site and add in details about your child, then checkout. We were given a promo code for this but the process is simple enough. When we finally settled down to read it, I was enamoured at how well Jack behaved and how he listened intently – he was enamoured. He is recognising his name more and more often these days so this story really helped him to understand that little bit more. What I particularly love myself is that there is space for a little message at the beginning so it makes it even more personal. In terms of quality, the book is fantastic – the pictures are crisp and sharp and the colours are bright as they should be. My only niggle with this is the price – whilst I understand it is personalised thus I would expect to pay a little extra, I do think £14.99 is a little steep even so. What do you think?